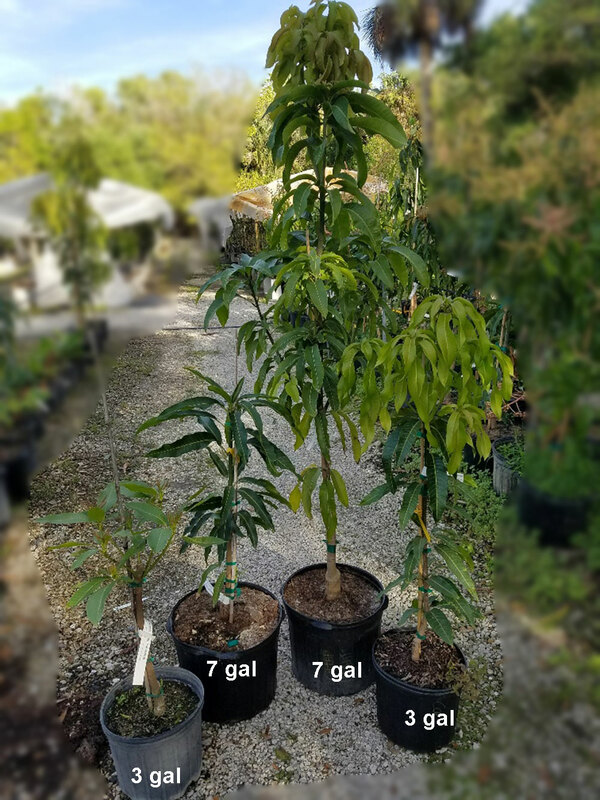 5965 Mangifera indica - Venus, Large size, Grafted ? Venus is a great option for those looking to extend into a later season fruit. A top taste that is rich and sweet. The tree is a Zill Indochinese (Zinc) seedling, 33-10, with good disease resistance and ornamental, large leaves. The tree itself has a nice branching habit and compact growth that is easily managed. 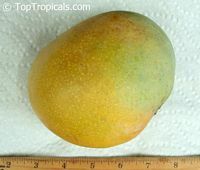 6235 Mangifera indica - White Pirie Mango, Grafted ? 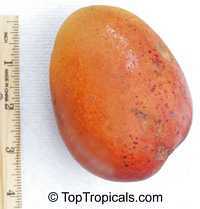 White Pirie (or Pairi, or Paheri) was derived from Piri in Hawaii. 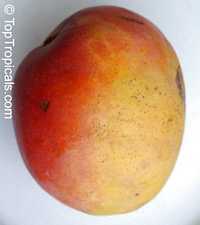 It has medium size yellow-red fiberless fruit with a honey richness. 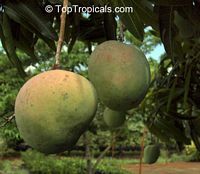 It is said to be "the sweetest fruit imaginable"! 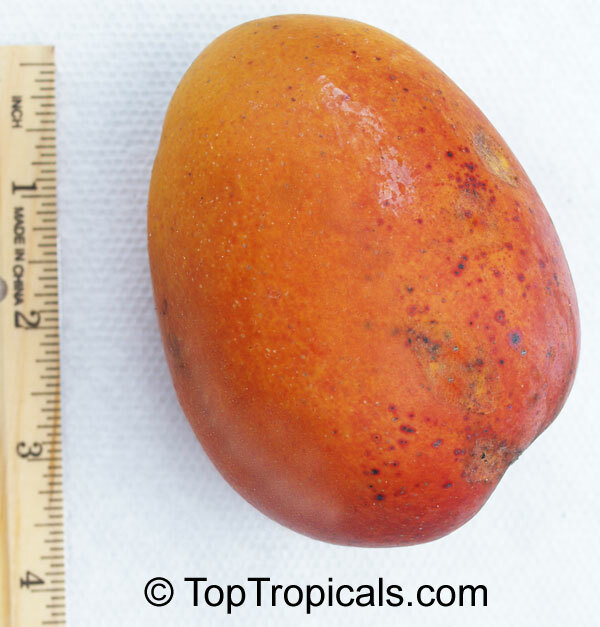 The fruit has a pastel coloring and "creamy" pulp. Bears fruit in July. The tree is dense, low growing and spreading. The White Pirie and the Pirie are hardly distinguishable. These two are some of Hawaiis finest selections. The downside is that they have very little anthracnose resistance and do best on the dry areas of Hawaii.